Licensed College Jewelry!! 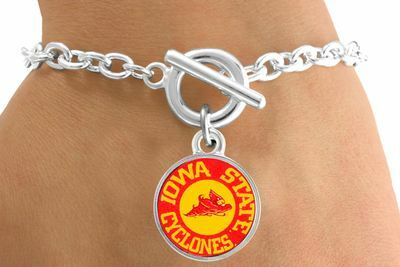 Lead & Nickel Free Sterling Silver Plated Lobster Clasp Necklace Suspends A Red & Yellow Circle With The Iowa State University Cyclones Mascot And Name. 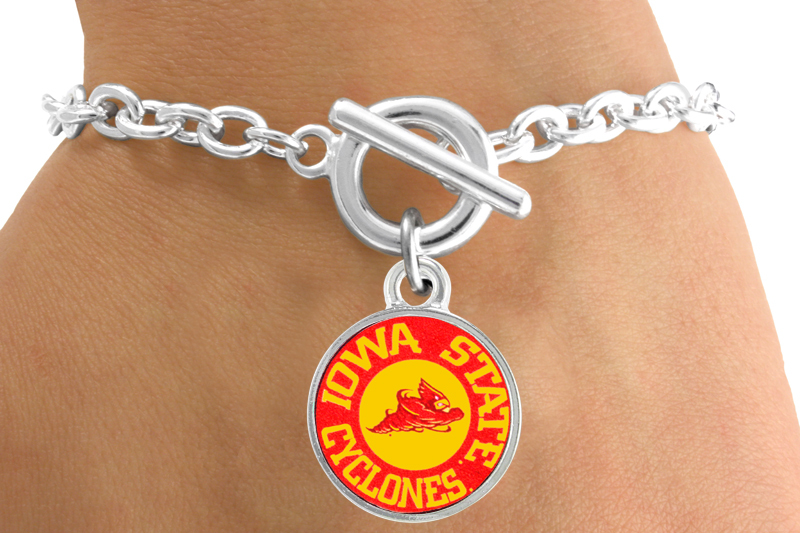 Scroll Down For More Iowa State University "Cyclones" Items: W12946N, W12947E, W12948B, W12949N, W12950E, W13767N, W13775N, W13892KC, W13893B, W13894KC, W13895SG, & W13896SG !